Sometimes, I get crazy ideas. This post–and the ones that will follow–are one such. When Gen and I were writing Star Dust, I fell pretty hard for the world of the novel: the cocktails, the parties, the music, and the clothes. Writing the book taught me that my love for mid-century American culture is deep and long-held, so much so that it even extends to the food. Sixties food has a truly terrible reputation for relying on processed ingredients and fat, carbohydrates, and other deliciousness that we avoid in 2015. 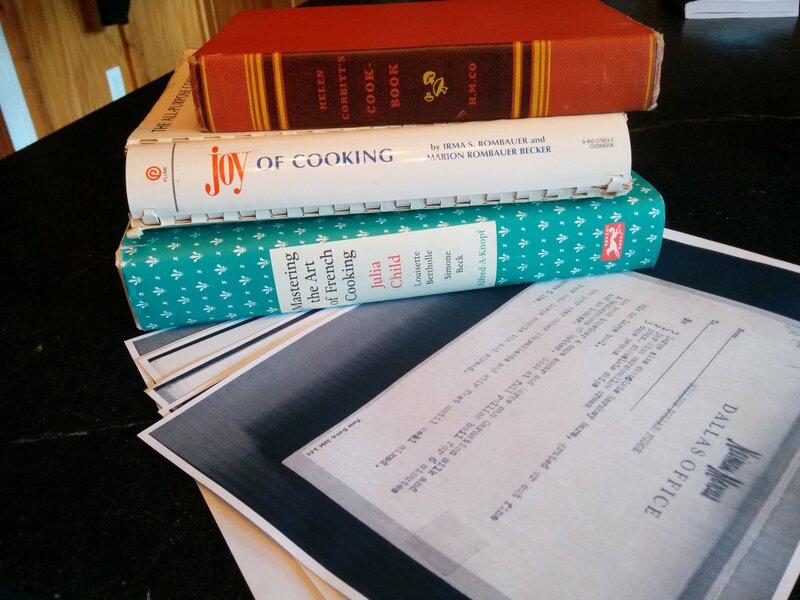 However, while researching the book, I obtained some sixties cookbooks to add to what I already owned. In reading them, I came to feel that our view of 60s food is somewhat unfair. I can’t tell you precisely what the average family was eating for dinner on a representative night in 1962, but the story painted by cookbooks is more complicated than the stereotype. There’s a drift toward processed foods, yes, but also meal plans that include multiple courses and several vegetables. Additionally, the way cookbook writers of the period approach recipes presupposes that readers possess varied and sophisticated cooking knowledge. As Gen and I revised, we became more specific about the food. Almost every recipe mentioned in Star Dust is one I actually made or at least saw several versions of. And in that vein, I wanted to blog about several recipes that I made–both for good and for ill. My friend Elisabeth Lane of Cooking Up Romance came and helped me make a bunch of food and style/photograph it. I’m on my own for these first few posts, so you’ll have to suffer through my bad pictures, but pretty ones are coming soon. First we have a recipe that didn’t quite work out: Hot Cream Cheese Canapes, which I’ve adapted from Helen Corbitt’s Cookbook (1957). Mix the first five ingredients with a hand mixer until smooth and airy. Pile high on the toasts, spread top with chutney and bake at 450 until set and golden. Serve hot. I’ve tweaked the directions, but you get the idea. It seems simple enough, right? Except, well, this happened. I hypothesize that you might be better off separating the egg, whipping the white, and then slowly adding the cream cheese and the yolk. I’d omit the lemon and onion juice and reduce the salt. Making these modifications might lead you to a spread with a consistency more like buttercream frosting. It might also be worthwhile to try this in the food processor vs. with a hand mixer. Regardless, I want to keep playing with it because even my miscue was pretty tasty. Somewhere in here, there’s a good recipe. Stay tuned for more of my adventures in retro cooking! Between now and Star Dust’s release next week (HOLY COW!) I’ll have seven days of sixties food. 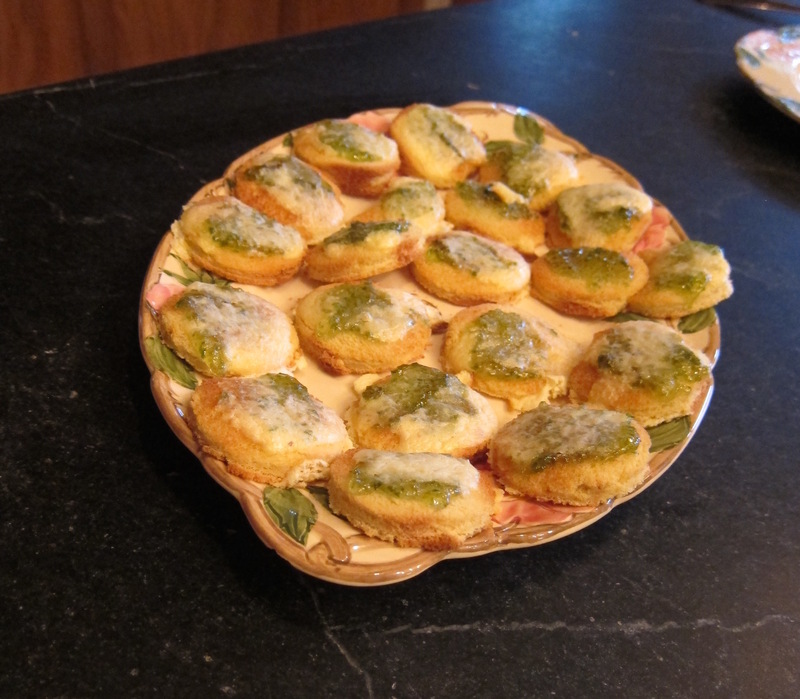 I remember French Onion dip, salmon with dill in cream cheese, sour cream with Beau Monde seasoning. Rumaki. Things spread on Pillsbury crescent rolls, rolled up and baked. Miniature meatballs in BBQ sauce. Tuna salad on Ritz cracker with slice of pimento-stuffed green olive on top (for fancy). Typical meal in Midwest USA 1962: meatloaf, baked potatoes with butter, green beans, salad of available greens with mayo-based or vinegar-oil dressing, applesauce, brownies for desert. Roast chicken with roasted potatoes, onions, and carrots, peas, red jello with fruit cocktail, rolls with butter, apple pie. Spaghetti with meat sauce, garlic bread or breadsticks, salad of available greens with vinegar-oil dressing, seasonal fruit with cream, oatmeal raisin cookies. Bread and butter and whole milk always on the table. In winter, more coleslaw and fewer greens. In summer, potato salad or macaroni salad. Lots of items, but portions much smaller than nowadays. Most foods, nearly all, were homemade from scratch, home grown. Thanks for the memories. Gosh, it’s no wonder my mom spent all day in the kitchen. This is so helpful! There’s obviously a huge gap between what appears in cookbooks today and how we all eat. So while I’ve read a lot of cookbooks at this point, there’s still guesswork between what’s in there and how people actually ate most of the time.